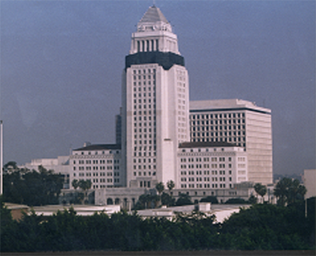 The Los Angeles City Hall was one of the City’s largest public projects to be seismically retrofitted as a result of the Northridge Earthquake and qualified for FEMA funding. Construction was performed to complete this project for City-wide debris removal projects and necessary historic and environmental issues involving RGA 191, SHPO, NEPA and CEQA. Valued at $140 million. Completed in 1999. 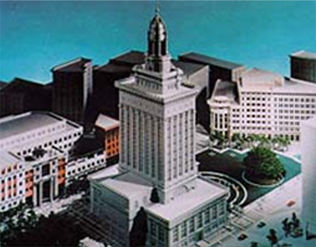 In conjunction with Steinmann Facilities Design & Construct (SFDC), PCM provided Design/Build services for the construction of the high profile Administration Complex for the City of Oakland.The project included two new buildings with subterranean parking, a central plant, the renovation of a historic building all surrounding the existing City Hall and the revitalization of the Frank Ogawa Memorial (City) Plaza) damaged in the 1989 bay area earthquake.